i. Embedding the Fair Trade Principles –this process show the areas where the organisation, producer group or sub group needs to improve. ii. Measuring and monitoring wages. Many marginalised people work in the informal sector, there are many women and people working in poverty in this sector and this is the area in which Fair Trade is very strong an delivering long tern sustainable development. People working in the informal sector want to be recognised for their work and need to have record of the payments that they receive even if this is not required by the government. 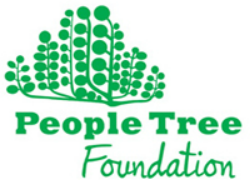 People Tree ask all informal employees in Fair Trade supply chains to use work books to record the pay they are given for the hours they work. The use of work books is necessary to monitor how the organisation is progressing against principle 4. Select at least two people from the list of workshop/production unit members for example numbers 13 and 22, on the list by random selection. Ideally try to have at least one man and one woman and if there are different areas of work choose from the different areas of work. If there are very different circumstances try to choose another person from that group for example, but not exclusively, people who are different because of: caste, ethnic group, religion, living nearby or staying on site, and age. For each person ask the following questions and record the answers in your evidence file, along with a photograph of the person being interviewed when appropriate. Describe your job, what do you do? How are you paid per day/month or by piece? When do you start work and finish? Do you ever work 7 days a week? Do you do other work for income, if so what % of your income is from this work? How many breaks do you have and for how long? How much are you paid (per day/piece/overtime rates etc)? Do you owe any money? If so, how much to who? What other pay and benefits do you receive? than if you were living at home? What other work is available if you continue to live in your home, how much is it paid? Does your work contribute to a community development fund, if yes do you decide how it is spent? Invite the interviewee to add to this information in any way, for example their way of life, costs of living and or any significant events that are impacting on wages and or expenditure.